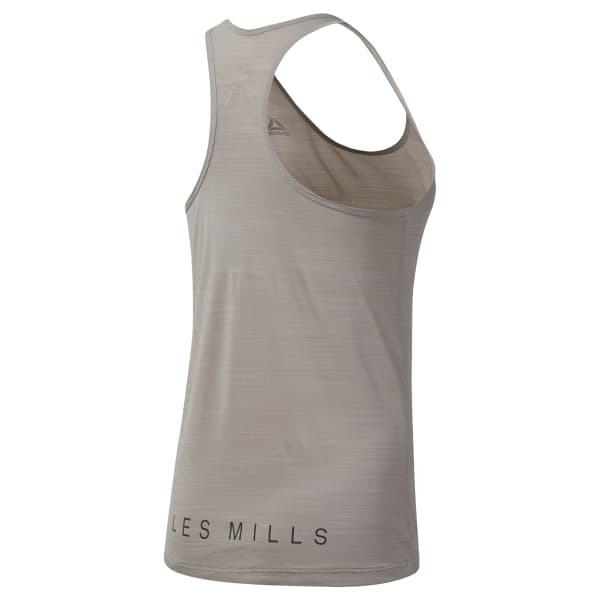 This women's ultralight tank top is designed for LES MILLS classes. The jersey tank wicks away sweat while circulating airflow so that you stay cool and dry in the studio. The sheer, mélange fabric gives the modern racer back a playful edge.